Labneh is not something you might think to make for snack or to go with a meal, and admittedly, I made mine as an afterthought to use up some yoghurt. But after making it for my middle-eastern lunch, I am convinced it’s the perfect way to spice up your next spread. Labneh is yoghurt that has been hung and strained to remove the liquid, or whey, and then it’s flavoured with spices and rolled into little balls – really easy to make and really, the only limitation on the flavours and textures of this snack is your imagination. These were the first labneh I’d ever made, and I used a Maria Elia recipe. The combination of flavour and texture is unexpected, fresh and delicious. Tips: to get the seeds out of the pomegranate, cut it in half and bash the back of it with a rolling pin or meat tenderiser. Collect the seeds only and leave as much of the juice out as possible. To get the best results, hang your yoghurt in the fridge overnight. Mix the spices, sugar, salt, pomegranate and garlic with the yoghurt. Place the yoghurt in a piece of muslin and hang it in the fridge over a bowl (to catch the liquid). Leave overnight. Finely chop the herbs and place in a bowl. 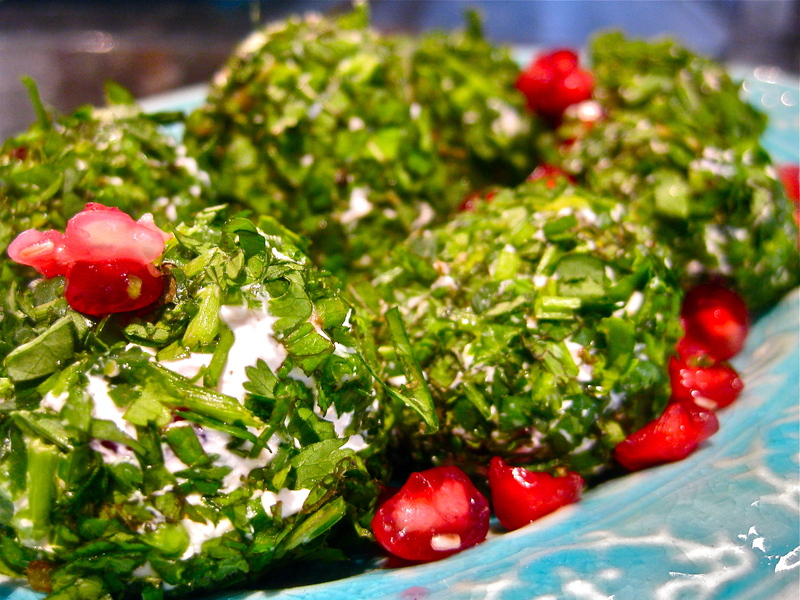 Roll the hung yoghurt into balls and then roll in the herbs. 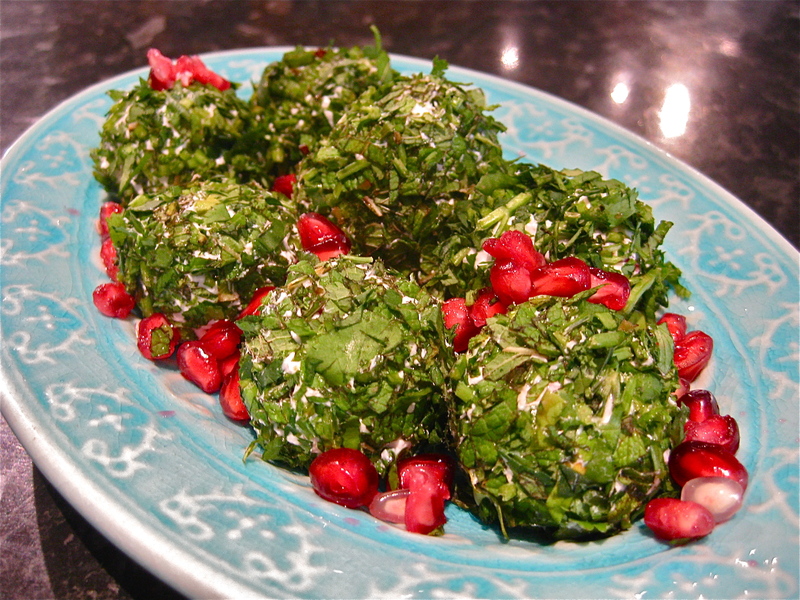 Keep the labneh balls in the fridge until it’s time to serve.